Competition is pressuring Activision’s developers to try new things to keep players from defecting from the Call of Duty franchise, which is great news for gamers, writes Peter Nowak. If there’s an uptick in work and school absences this week, there will be one clear culprit: the new Call of Duty game. Millions will be staying up late and calling in sick so they can spend time playing Activision’s latest first-person shooter, Call of Duty: Ghosts, which hits stores Tuesday. What is it about this violent game - in which players take on the role of machinegun-toting soldiers in a quest to obliterate each other in online virtual environments - that is so appealing? 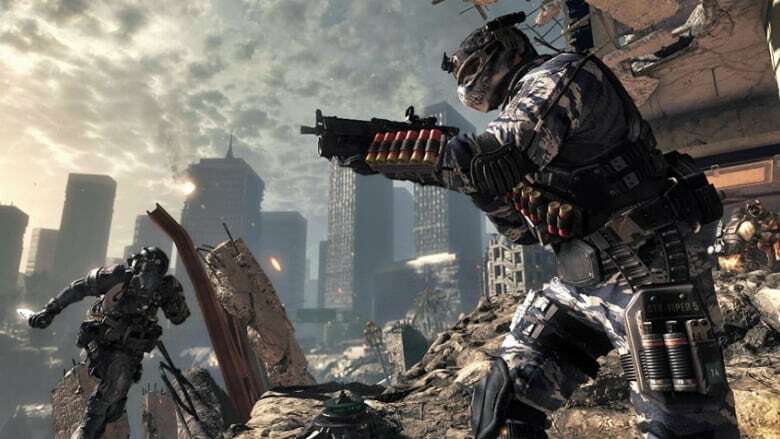 For some it’s the successful recipe of adrenaline-fuelled action fans have come to expect from the Call of Duty franchise over the past decade. For others, it’s going to be the new features the game’s developers have come up this time around to fend off increasingly innovative competitors. To hear the game’s publisher explain the appeal, Call of Duty taps into some very primal aspects of the psyche. Whether it’s epic scenes of skyscrapers or aircraft blowing up, or enemy bullets zinging by, players get to experience everything first-hand because they are literally in the virtual shoes of the game’s main character. It’s a front-row ticket to a fast-paced adrenaline ride, pure and simple. Clearly, gamers have been consistently lapping this stuff up. Last year’s entry in the COD franchise, Black Ops 2, set a record for the most revenue made in 24 hours by any entertainment property, at $500 million. The previous record was $400 million, set by the 2011 instalment of the game, Modern Warfare 3. Starring William “B.J.” Blazkowicz, an Allied spy, in his effort to escape the Nazi prison of Castle Wolfenstein, the game popularized the first-person shooter genre and established World War II as its default genre for years to come. The game also set several genre traditions, including different weapons, hidden rooms and so-called boss battles (including an epic shoot-out with Hitler himself). The follow-up to Wolfenstein from id Software was an even bigger hit and has since been enshrined as one of the most important and influential games ever made. Doom put players into the shoes of an unnamed space marine as he battled evil demons on Mars. The graphics were a relatively big jump up over Wolfenstein 3D, as was the over-the-top action. Id Software continued its string of FPS hits with Quake which, like Doom, featured horror and science-fiction themes. Its big addition was a relatively deep online multiplayer mode that players could access on their computers. While most FPS games up till then focused on single-player missions, Quake set its sights squarely on multiplayer and established itself as one of the first e-sports games, with quasi-professional tournaments to go with it. Created by Valve Corp. (a collection of former Microsoft employees), Half-Life revolutionized shooters with its emphasis on hyper-realistic graphics, an escalating high-water mark for the genre ever since. The game also helped launch Valve as a gaming force, with the company subsequently establishing Steam, an online distribution platform for PCs that now rivals consoles in terms of regular users. The first Halo game’s importance is hard to overstate. The game almost singlehandedly sold Microsoft’s first Xbox console to the masses and represented the true crossing-over point of the FPS genre from computer to console. It did so with stunning cinematic graphics and a smooth incorporation of vehicles, with subsequent instalments adding online multiplayer. As with many of its predecessors, the first Call of Duty game was set during World War II. Where the franchise differed from peers, however, was in taking players through a Hollywood-style, film-inspired spectacle – it effectively tried to let players live the movies. Each successive instalment has tried to raise this particular bar, an increasingly difficult task in an entertainment world that’s chock full of spectacle. Yet somehow, even 10 years later, the series keeps earning record returns. Ghosts is expected to earn mega-bucks too, although it’s unlikely to eclipse this year’s uber-blockbuster Grand Theft Auto V, which earned $1 billion in its first three days. Nevertheless, Call of Duty games are consistently among the biggest entertainment products of the year in any medium. 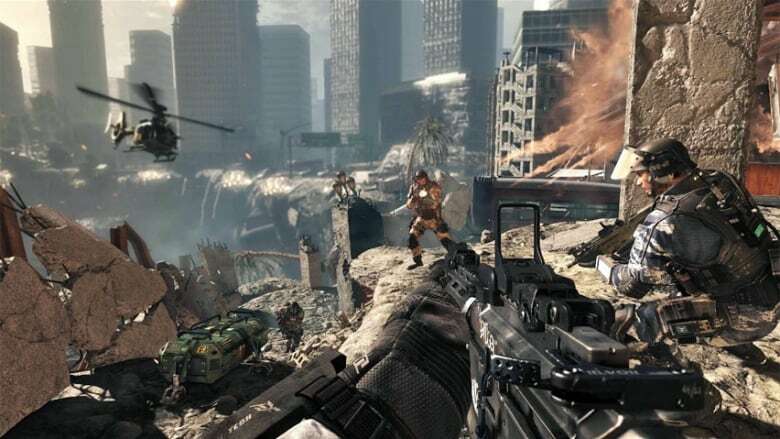 First-person shooters like Call of Duty have tended to hold strong appeal for males in particular, because they relate to the make-believe games many played when they were young. Call of Duty is in some ways a virtual evolution and expression of cowboys and Indians, or cops and robbers, or army men, or any number of role-playing games that children concoct. But while boys and men still make up the overwhelming majority of players, the communal nature of the games’ online modes appeals to both genders, which makes them similar to social networks such as Facebook. About a fifth of Call of Duty’s 40 million monthly players are female and that percentage is rising, according to Activision, which is why playable female characters are being added for the first time in Ghosts. The COD franchise’s massive success with both sexes has attracted competitors eager to get in on the action. While still far off from posting Call of Duty-type numbers, Electronic Arts’ Battlefield series is the most serious competitor. Battlefield 4, the latest instalment that was released last week, is expected to sell 15 million units, or around half of what Black Ops 2 is estimated to have sold. Call of Duty tends to focus on smaller, soldier-versus-soldier battles. EA’s Battlefield games offer up a different take on the military shooter, with large online environments where players can drive all kinds of vehicles, from tanks to helicopters. Battlefield boasts millions of players online at any given time, and its growing success is pressuring Activision’s developers to try new things to keep players from defecting. For fans of the genre that’s good news, because it’s forcing innovation. For example, the Call of Duty franchise has been taking heat from core gamers in recent years for offering up the same-old, same-old recipe – a theatrical single-player rollercoaster ride full of big explosions, supplemented by a slightly tweaked and updated online multiplayer mode. So Ghosts’ creators have added some new experiences to broaden the audience appeal. While there are the requisite jungle- and oil-rig settings, Ghosts’ single-player campaign also launches players into space and sinks them to the bottom of the ocean. In both cases, different gravities affect the inevitable firefights in new and interesting ways. Ghosts also offers up an intriguing story penned by Stephen Gaghan, the Academy Award-winning writer of Traffic, that features a South American enemy. It’s a refreshing change for military shooters, which usually portray the same caricatured Middle Eastern or Russian terrorists as the bad guys. Gaghan’s script also has slightly more believable characters in the form of two brothers, Logan and Hesh, who may elicit more empathy from players (another rarity in shooters) than the usual generic soldiers. Indeed, Riley –the brothers’ highly capable canine sidekick, who players get to control – may be one of the most likeable characters in video games this year. Beyond that, the series’ bread and butter – online gameplay – is also seeing a host of new additions. The most notable is Extinction, a co-operative mode in which up to four players battle escalating waves of aliens. While previous Call of Duty games featured zombie hordes, the addition of aliens is a big departure for a series that is otherwise rooted in military realism. Ghosts also features several new online game modes, such as “Cranked,” where players spontaneously combust unless they shoot another player within a given time limit, and “Hunted,” where new weapons must continually be sought out because of a severe lack of ammunition. The new game is being made available on the Xbox One and PlayStation 4, the respective next-generation consoles from Microsoft and Sony that are launching this month. 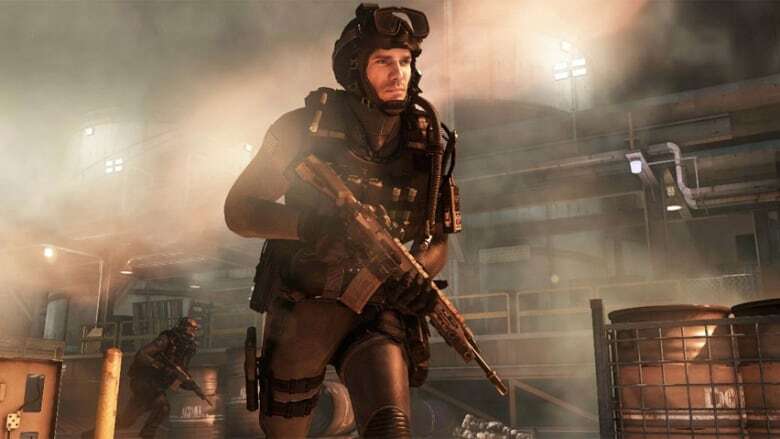 Ghosts has better graphics on the new machines, but future instalments of the franchise are likely to incorporate even more of the new consoles’ so-called next-gen features. Both new consoles have better online-sharing and second-screen functions, for example, which respectively allow for uploading of gameplay videos and on-the-go gaming. Ghosts is launching with a companion app for phones and tablets that will let players do some of that – they can manage their characters and teams when away from the home, for example – but future iterations will go even further, according to Suarez. That said, although it has added new features in Ghosts, Activision isn’t likely to deviate too much from Call of Duty’s successful formula in future iterations of the series. The sales are still there, despite what critics say. 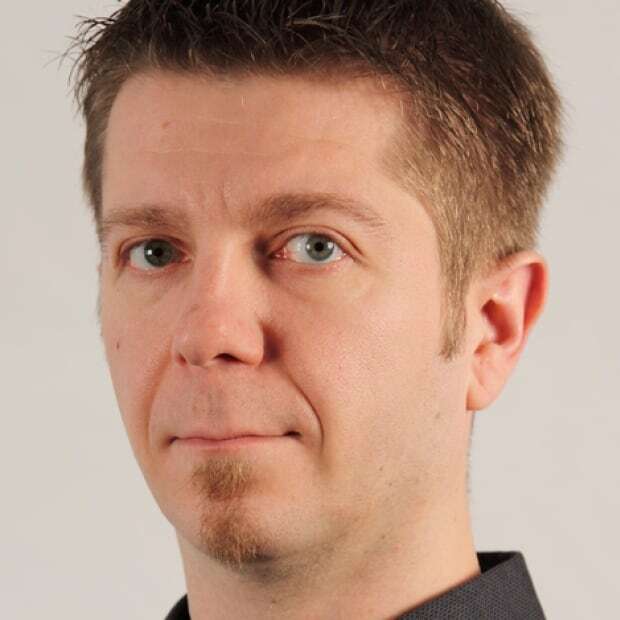 Peter Nowak is a Toronto-based technology reporter and author of Humans 3.0: The Upgrading of the Species.